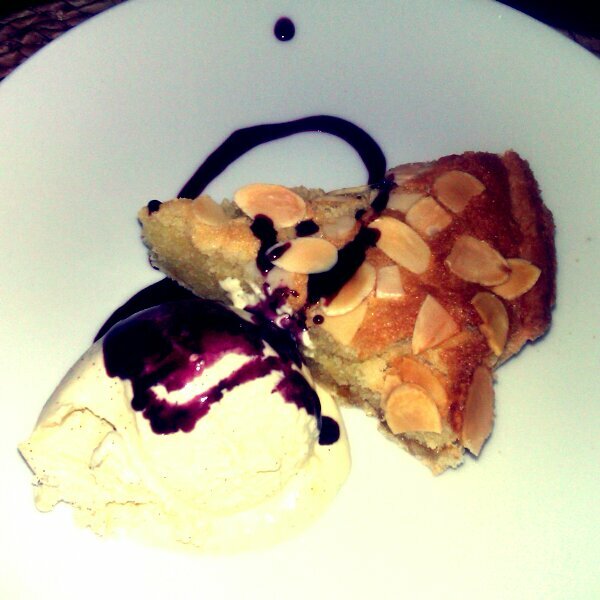 My dad had a pudding fit this weekend and made this YUMMY tart, bakewell but with (homemade) Lemon Marmalade in it. Served after a naughty but nice Steak on Saturday night, and thoroughly enjoyed! Although this is a Chloe Likes To Eat, I couldn't let the post go by without thanking everyone who commented on my last post, Is It Coz I Is...small?. I was expecting it to go down like a lead balloon, but it's been fantastic to see the various responses and to hear that so many of you understood where I was coming from. The first link with a Saint Valentine and romance is actually from a poem by Chaucer in the 14th century although it's debated whether he actually meant the Valentine who is celebrated in February due to the context... and it's only in the 19th century that it became a tradition to give flowers and confectionery on February 14th. Oooh looks yummy, although I'm not allowed to eat citrus foods. Big waaaaaaaaaaaaaaa! Really? I feel your pain, I'm a citrus addict! Could try it with different fruits though? You're welcome, I was really please that the filter showed the purple of the coulis, it was also majorly tasty! It was a good tart! And thank you, glad you liked what you saw enough to follow. You are killing me! This looks SO GOOD!